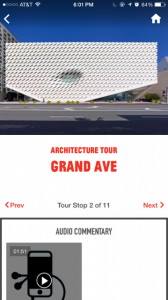 The Broad’s Architecture Tour gives listeners an insider’s knowledge of the concepts and engineering feats behind the intriguing design of LA’s newest contemporary art museum designed by DS+R. 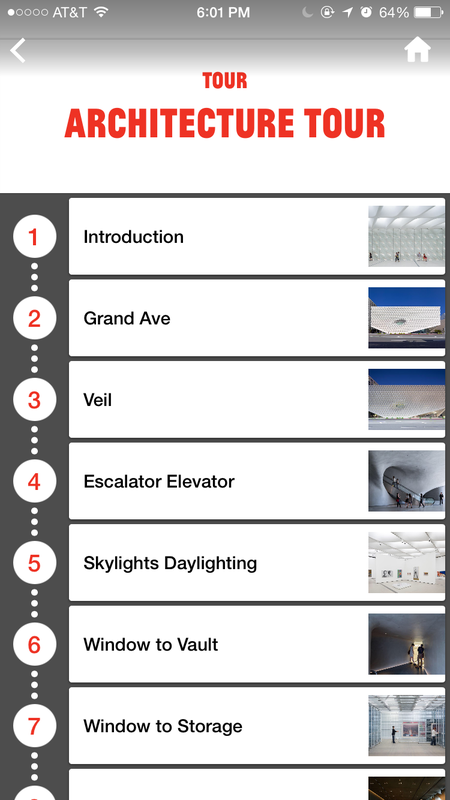 With commentary by the principal architect Liz Diller, Broad Director Joanne Heyler, and other voices from behind the scenes, the journey of moving through the museum becomes even more contemplative and rich in these detailed descriptions of the key features. 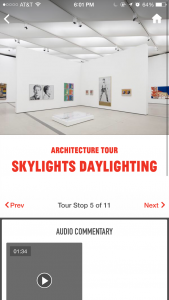 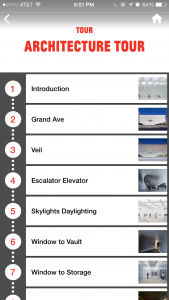 All 11 architecture audio tour stops are available to listen to on The Broad’s free mobile app or on The Broad’s Soundcloud. 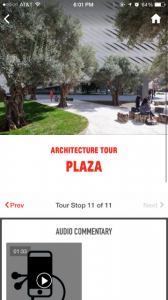 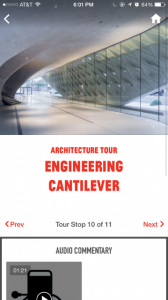 Homepage for the architecture tour on The Broad app.